In the past, I’ve used this final, year-end blog post to marvel at just how well I’ve eaten in the preceding 12 months. Over the years, that emphasis has grown dull and unnecessary. By now, those who read this blog know that, when it comes to eating, I’m getting along all right. Explaining my process for evaluating meals and dissecting my food preferences, too, have wearied from repetition. If you’re interested, all of that is well-documented here, here, and here. And my annual observations about the restaurant industry are increasingly misplaced in this post. My growing cricitism of food media, thoughts on various genres and trends in cooking, and other commentary at large have been appearing, with more frequency, as “ruminations.” Moving forward, I refer you to them. This year, I’m slimming down and returning to the reason I launched this laudatory exercise: to memorialize the best meals I have had. Having found few meals that truly impressed, but five restaurants that had impressed repeatedly, in 2015, I departed from my usual practice of listing my 10 favorite meals. Instead, I applauded those few for being fine and faithful. In 2016, however, there returned a critical mass of qualifiers. And, in order to reach the target 10, unfortunately, I was forced to leave some very, very good meals out. Among them were a number of memorable meals I had with friends and family. Allow me to tell you about a few of them. 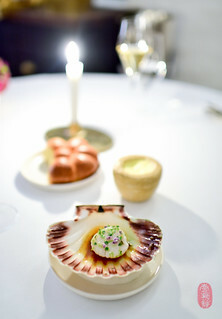 A pair of birthday dinners in Copenhagen, both cooked by some of the same people, were unforgettable. 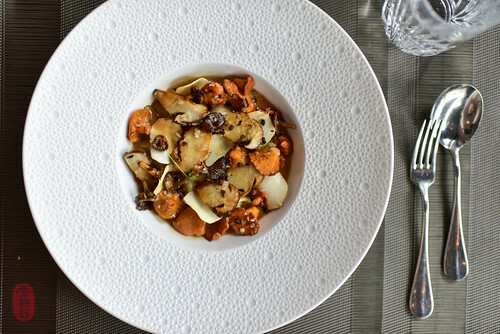 I’ll tell you about one of them downstream, where you’ll find it among my ten best meals of the year. The other one was just as special and memorable, spent in the cozy company of dear friends at home. My friend Mark Lundgaard Nielsen hosted the dinner at his penthouse apartment. 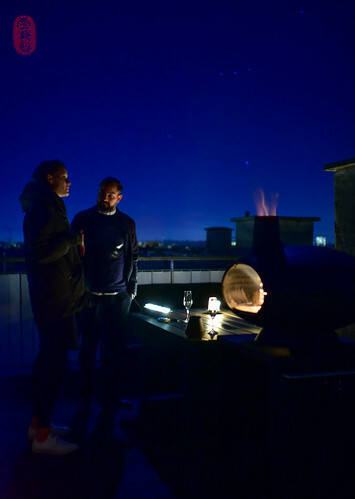 With our breaths hanging in the air, and the stars twinkling overhead, we gathered around the glow of his rooftop pizza oven. As the blistered crusts came out of the fire, Mark slathered them with créme fraîche and osetra caviar, and we ate the pizzas, still steaming, with Champagne as crisp as that cold night. 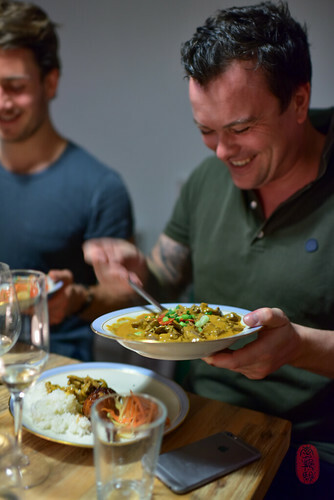 Nadia Mathiasen, a journalist, cookbook author, and accomplished cook made a few, traditional Thai dishes of her mother’s native land. And Andreas Bagh baked a chocolate birthday cake that was served along with a Danish birthday song that ended, traditionally, with as many “oo-ahs” as the years now attached to my life. Peter Pepke poured wines all night, and we were joined by our friends Søren and Solveig (the latter, an old college friend, flew all the way from Seattle just to celebrate the day with me). May I live to celebrate another birthday as sweet and special. 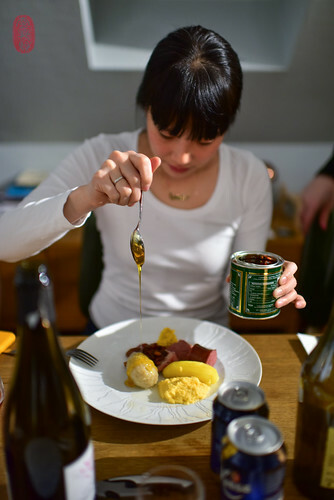 In January, my friends Christopher and Annette Haatuft hosted a dinner at their home in Bergen, Norway to introduce a few of us foreigners to raspballer, a Norwegian potato dumpling, traditionally eaten on Thursday nights with boiled salted lamb, Swede (rutabaga) mash, and bacon. In October, my friends Will King and Julie Jenssen invited me over for dinner. They cooked, we ate. 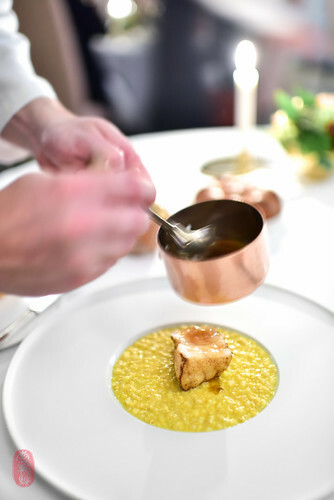 There was lobster and bleak roe, duck and foie gras, and a big bowl of risotto blanketed with freshly shaved white truffles. And in December, I had a string of Scandinavian Christmas dinners that were, individually and collectively, unforgettable. I learned about Norwegian yuletide traditions at Friends of Lysverket no. 12, and about the Danish julefrokost with the Nielsens over a three-day Christmas weekend marathon of feasting in Jutland. I wrote about all of these dinners in an earlier post. To my friends: thank you for these delicious memories. They are dear to me. In 2016, I ate so well in high-end restaurants that it left no room at the very top for some of the simpler, more casual experiences that have managed to break the ranks in the past. I had incredible meals in Singapore. Most of them were one-dish wonders, a few of which you’ll find among my favorite dishes from 2016. The same applies to a string of very good, late-night visits to Ganbara in San Sebastian, Spain. 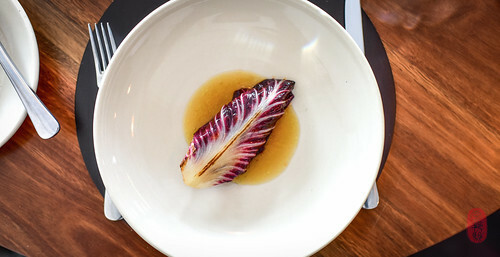 In Australia, I had a couple of very good meals in the Chippendale neighborhood of Sydney: one at Automata, and another at Ester. It would be a shame to overlook them. And in Venice, California, I loved, loved, loved Gjusta. It’s part bakery, part delicatessen, part coffee shop, part restaurant, and all of it is wonderful. It may be the most exciting restaurant I’ve visited in the United States in quite some time. Given the selectivity with which I chose to eat last year, the restaurants that gave me my favorite meals of 2016 comprise an unusually small and special circle of places. Most of them have been mentioned here before. In fact, I’ve visited six of the following nine restaurants (yes, one restaurant appears twice on the list this year; the first time this has happened) more than once, ranging from twice to over 20 times. And five of them have been ranked for my favorite meals in years past. 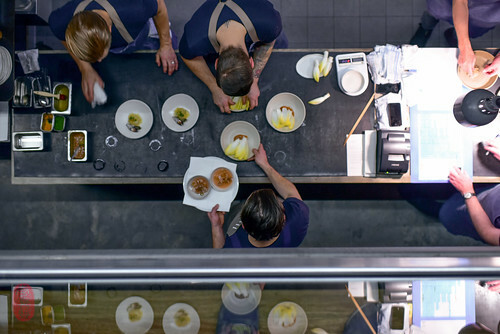 That restaurants like these perform at a consistently high level is not only admirable, demonstrating the type of dedication to craft and quality that endures and transcends, but makes obvious why I choose to return to them. This year, I make my disclaimer brief and straightforward: I paid for half of the meals below: nos. 1, 3, 5, 7, and 10. The remaining meals were either gifted to me, or included in photographic work for the restaurant. While I demand this transparency of myself and others, I only hope that it enhances rather than detracts from the sincerity of my opinions. I showed up at Sixpenny knowing practically nothing about it, having gone blindly at the urging of my friend Jonathan Alphandery. So, it was a pleasant surprise to find a beautiful, simple, and delicious meal unfolding before me. 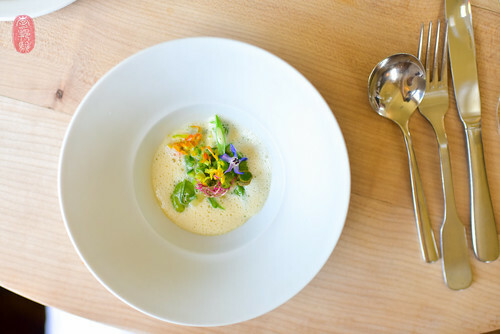 Focused on flavor and solid technique, Sixpenny offered the gravitas of fine dining without all the hysteria. 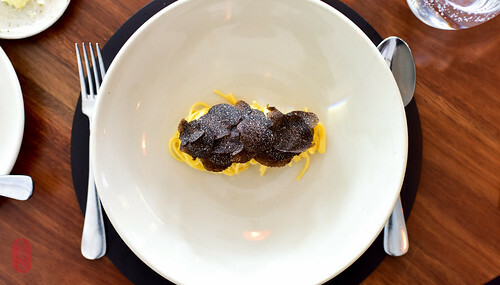 There was a twirl of buttery pasta with Australian black truffles, perennially among the best black truffles I have. There was a strip of duck and some witlof, both beautifully cooked. And, at the end, a stately St-Honoré that was among my favorite desserts of 2016. My lunch at Sixpenny was not only my favorite meal from my trip to Australia, but among my very favorites from 2016. 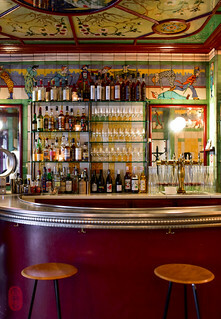 Saison has made my list of favorite meals every year that I have eaten there: no. 8 in 2011; no. 1 in 2013; no. 4 in 2014; and among the five I listed in 2015. After a period of transition and exploration, Saison seemed to settle back into a steadier and more familiar course at this September dinner. Back were many of my favorite dishes from menus past. The few unfamiliar dishes were beautiful expressions of Joshua Skenes’s quest to capture nature at its finest: marigold blossoms lightly fried, suspending them in an unnaturally delicate state for your ephemeral pleasure; the sun distilled into a flavorful ratatouille of grilled summer vegetables; and a nicely edited selection of hairy pig parts, cured and grilled. There are only a handful of restaurants that have earned my trust implicitly. Saison is high among them. Sabering Krug at sunset on a hill overlooking the vineyards of Sonoma; a pound of caviar smoked in kelp; grapes sweating on the hearth; bison chop the size of my leg, with its own marrow; and a cloud of milk ice cream in a marble chalice. Skenes Ranch remains under a veil of mystery that I am not authorized to lift. 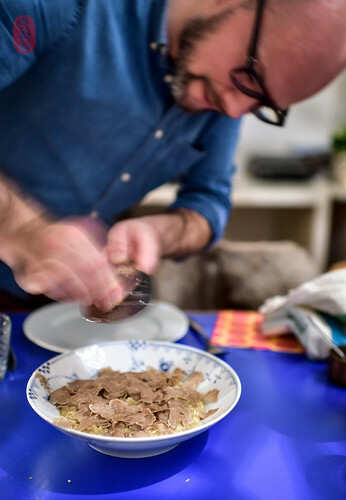 Suffice it to say that very little can go wrong and a lot can go right at a dinner for three cooked by Joshua Skenes and two of his cooks, and attended by three staff members and a sommelier. I hope I get to tell you more about it in the future. Like Saison, The Sportsman has appeared on this list every year in which I’ve visited this seaside pub on the coast of Kent: no. 1 in 2008; no. 5 in 2011; and no. 8 in 2014. Stephen Harris’s simple coastal cooking repeatedly sends dishes to my list of year-end favorites too, like the slipsole roasted in seaweed butter that has been among my favorite dishes of 2014 and 2016, or his soufflés, which have repeatedly ranked as well. My latest lunch found me at Harris’s table on a sunny, late-summer day. The window next to us was propped open with a rock, keeping a stream of cool, seaside air circulating across our table. The oysters, the focaccia, the fish, and the lamb pré salé – I’ve had them all before, and I happily return to have them again and again, because they are so very, very good. If a meal is more than that which arrives on the plate, then the cast assembled for this dinner surely rivaled the splendor it sent to my table. 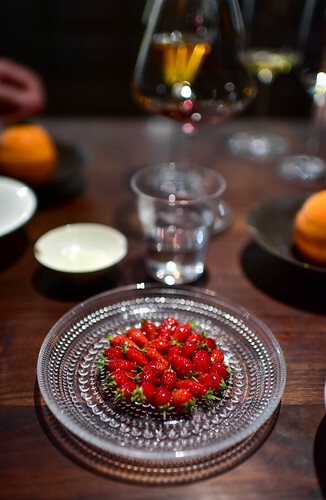 The second of six meals I had at Kong Hans Kælder in 2016, this dinner in March was part of a twin-pack of birthday dinners cooked for me, in part, by my friends chef Mark Lundgaard Nielsen and his then-assistant head chef Andreas Bagh. Sitting beside me was my longtime friend Solveig, who had flown halfway around the globe to join me. And attending us was the ever-faithful Peter Pepke and his wonderful team of servers. But let these friendships not diminish the flawlessness of the meal before us: giant scallops in salt crust, the tender muscles still bound to their shells; turbot pané on a field of caviar; foie gras under a sheet of cocoa; quail stuffed with walnuts and morels; Finnish beef with its own marrow; and many others in between and after. I was turned away the first time I attempted to eat at Ibai. Despite the unexpected rejection and the resulting hesitance to attempt re-entry ever again, a bizarre and miraculous set of circumstances found me at table in that underground restaurant shortly thereafter. It turned out to be one of my favorite meals in 2012. 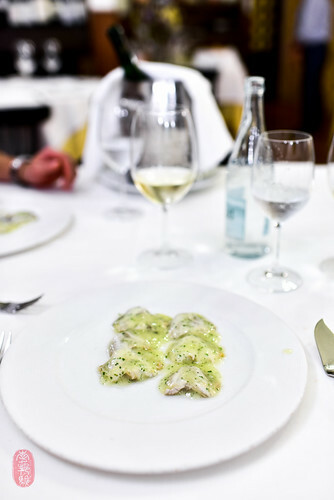 Although the hospitality in 2016 could not have been more different – my friend and I were greeted and treated graciously throughout – little else has changed in that underground restaurant in San Sebastian: the butter-yellow walls; the simple, tavern look; and, most importantly, the food. 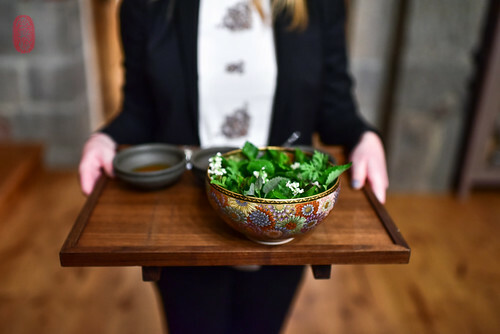 The menu offered the same roster of humble ingredients I had the first time, ennobled through Ibai’s simple, but immensely flavorful Basque style of cooking. In this cellar, right now, a perfect storm thunders with an embarrassment of riches. Talent, quality, and service of the highest order you will find here under the direction of chef Mark Lundgaard Nielsen and the man of the house Peter Pepke. The fifth of six meals I had at Kong Hans Kælder in 2016, and the eighth in two years, this dinner presented – almost all in one go – some of the most memorable dishes of my year: wild boar with peaches in madeira cream; tiny lobsters à la nage with chervil; roasted teal with foie gras and blackberries; a fist of monkfish on creamed sweet corn; and a blueberry and rum-soaked baba. In 2015, I wrote of this restaurant: “Starless for now, I’m positive that it will not be starless for long.” Delphic I am not, but I was right. Kong Hans Kælder regained its Michelin star in 2016, and I am sure Nielsen’s constellation will not end there. With chef Victor Arguizoniz sending kisses from the grill, the food alone would have made this leisurely, five-hour lunch worthy of my highest praise (it dominated my list of favorite dishes of 2016). 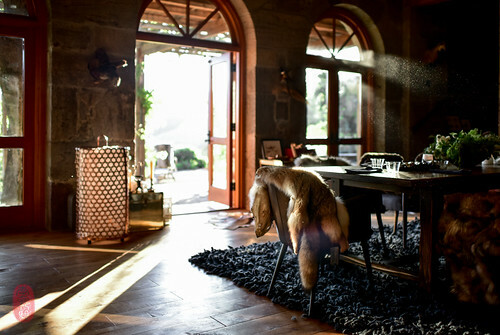 Add to it the romance of a remote farmhouse, the redeeming smile of an autumn sun, and a front-row seat to a beautiful conversation between cloud and mountain, and what you have is a love story. This was my second time to Asador Etxebarri, and it is the second time this restaurant gave me the best meal of my year. Breathtaking, delicious, perfect: Go. I crossed Singapore and Australia off my list last year. Now, I turn my efforts to visiting Russia (St. Petersburg), India, Colombia, Peru, Scotland, and Thailand. And out of the fifty United States, only Alaska remains unvisited; I need to go. I welcome dining recommendations in all of these places. In France, I’d most like to visit Alexandre Couillon’s La Marine in Noirmoutier; Olivier Rollinger’s les Maisons de Bricourt in Cancale; and Régis Marcon’s self-named Régis & Jacques Marcon in Saint-Bonnet-le-Froid. In neighboring Sweden, I bring forward Daniel Berlin, located near Malmö, and add Esperanto in Stockholm. 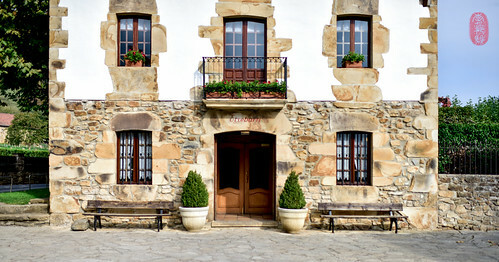 In Spain, Azurmendi in Bizkaia, and Elkano in Gipuzkoa. Fewer and fewer restaurants in the United States excite and attract me. Here are the ones that glint and beckon. I skipped Charleston in 2016. So, this year, I hope to get to Sean Brock’s reopened and recharged McCrady’s. In New Orleans: Donald Link’s Pêche Seafood Grill, Justin Devillier’s La Petite Grocery, and Alon Shaya’s eponymous Shaya. I’d like to get back to Washington, D.C.: Jeremiah Langhorne’s The Dabney and Erik Bruner-Yang’s Maketto top my list there. And I need to get to Portland, Oregon. I haven’t been since 1999. Please send recommendations. Closer to home, I’m overdue for a roadtrip down I-70 to St. Louis and up I-29 to Omaha. There are fewer pleasures than returning to restaurants where I’ve found pleasure before. In the United States, I’m still trying to find a way back to Lachlan MacKinnon-Patterson’s Frasca Food + Wine in Boulder, Colorado (my last and only meal there was in December of 2008). 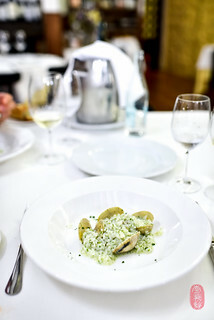 There has been a chef change at atera since my last visit, and I would like to see what Ronny Emborg is cooking there. Scott Anderson’s elements in Princeton, New Jersey has closed and reopened since I last saw it; I should go back. And I didn’t make it to Blaine Wetzel’s Willows Inn in 2016; I hope to add Lummi Island to my travels this year as well. Abroad, I have a standing date with The Sportsman in Whistable, The United Kingdom; Asador Etxebarri in Axtondo, Spain; Ibai in San Sebastian, Spain; and Kong Hans Kælder in Copenhagen, Denmark. There remain an infinite number of places to explore in Japan, but I think fondly of returning to Ishikawa and Matsukawa, both in Tokyo, and Ifuki in Kyoto. 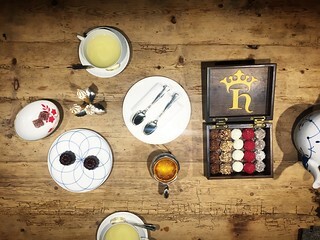 And I’ve been looking for the right occasion to take me back to Louis XV, now reopen after a long renovation; it’s at the Hôtel de Paris in Monte-Carlo. * Ryan Sutton at Eater offered a closer look at Clown Bar in October of 2016. Photos: Spanish mackerel at Sixpenny in Sydney, Australia; Skenes Ranch in Sonoma County, California; my friends Solveig and Peter Pepke in the glow of the pizza oven, Copenhagen, Denmark; Mark Lundgaard Nielsen and Andreas Bagh at table in Copenhagen, Denmark; Will King shaving white truffles over risotto, Copenhagen, Denmark; Sandia Chang drizzling golden syrup over raspballer, Bergen, Norway; above the kitchen at Automata in Sydney, Australia; roasted monkfish on creamed sweet corn at Kong Hans Kælder in Copenhagen, Denmark; kokotxas in pil-pil at Ibai in San Sebastian, Spain; pasta with black truffles at Sixpenny in Sydney, Australia; wild mushrooms with chestnut agnolotti at Marchal in Copenhagen, Denmark; fraises du bois at Saison in San Francisco, California; the bar at Clown Bar in Paris, France; a salad of herbs at Skenes Ranch in Sonoma County, California; cream of vegetable soup at The Sportsman in Seasalter, The United Kingdom; salt dough-baked scallop at Kong Hans Kælder in Copenhagen, Denmark; clams and rice at Ibai in San Sebastian, Spain; a box of chocolates and mignardises at Kong Hans Kælder in Copenhagen, Denmark; Asador Etxebarri in Axtondo, Spain. ~ by ulterior epicure on January 22, 2017.